Kim Porter is a professional makeup artist in Chesapeake, VA who has been in the makeup industry since 2001. She offers her services across Virginia, including Chesapeake. Kim has won awards with wedding Wire, Top Wedding Vendor for Virginia Living Magazine, and Best of Virginia Beach Awards. Her work is a blend of nature and personality and captures the intended mood in your wedding. Her work has been seen on celebrities such as Barbara Corcoran of the Shark Tank fame and also Jessica Robertson of “Duck Dynasty”. Dawn Lewis is an accomplished permanent makeup artist based out of Chesapeake. 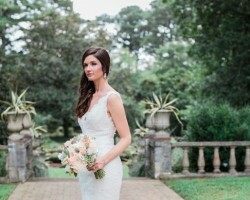 She has worked with professional designers, photographers, models and bridal parties. Her work has been seen on featured in different area. She pays attention to detail and loves to create beauty, expression and emotion through her hands. Her experience with clients inspires and provides her with the zeal to improve on her skills. She is constantly booked around Chesapeake for her experience. Soho Lashes is an eye lashes and makeup boutique based in Chesapeake. Soho has a team of local professionals who are fun to work with and provides the best in both eye lashes and facial makeup. Whenever it's convenient, they avail themselves to you at the comfort of your home and you don't have to worry about cost, their prices are affordable. Soho Lashes employs the services of experienced experts in eyelashes and makeup. Soho dedicates themselves to the health and happiness of their clients. Christine Marie is a renowned Chesapeake makeup artist who built her knowledge and experience over years. She learnt earlier in her career that “less is more” in most cases and the approach continues to shape her approach to many faces. She is a freelancer not tied to any salon and can offer her services at your location wherever you may be within the region at your convenience. Marie specializes in beauty, glamour and bridal makeup applications and personal as well as group makeup instruction.